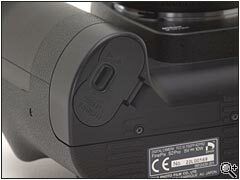 The S2 Pro's viewfinder has a rubber eyepiece cup (which can be removed for accessory attachment). The view itself is clear, bright and sharp with a good focusing screen. As I noted in my D100 review the actual view itself appears to be very slightly smaller than the D60 (although there's not much in it). 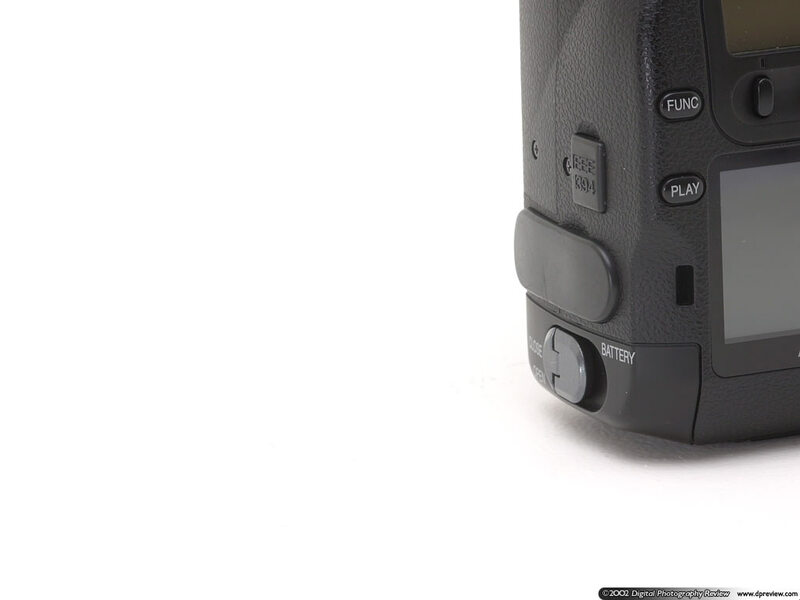 The S2 Pro does have a sliding dioptre lever tucked away on the right hand side. 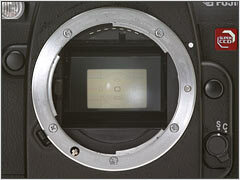 Through the viewfinder you'll see the center-weighted metering circle and five indicated AF area markers. Note that the active focus area darkens when selected. The on-demand grid lines can be turned on via custom function 2, these are useful for ensuring alignment when taking landscape or architectural shots. 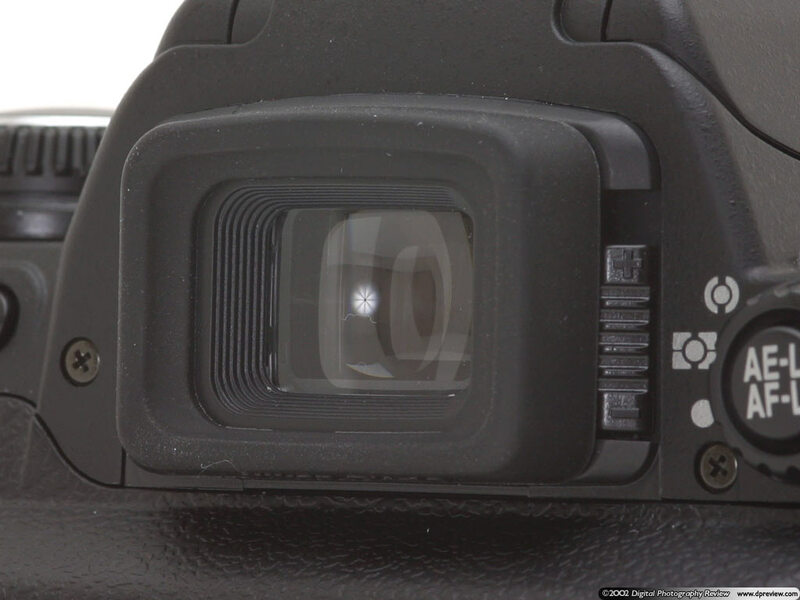 Along the bottom of the viewfinder view you will see the status bar. 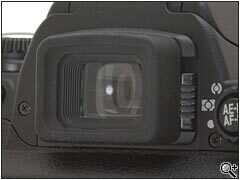 This provides you with an overview of camera (photographic) settings as well as exposure settings. Just like the S1 Pro the S2 Pro splits its power requirements in half. Firstly there are two CR123A (or DL123A) batteries in the base of the hand grip, these power the photographic side of the camera - exposure, auto focus, vibration reduction (on VR lenses), AF illuminator. 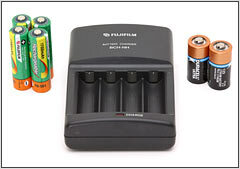 These batteries are fairly common camera batteries and do seem to last a long time. 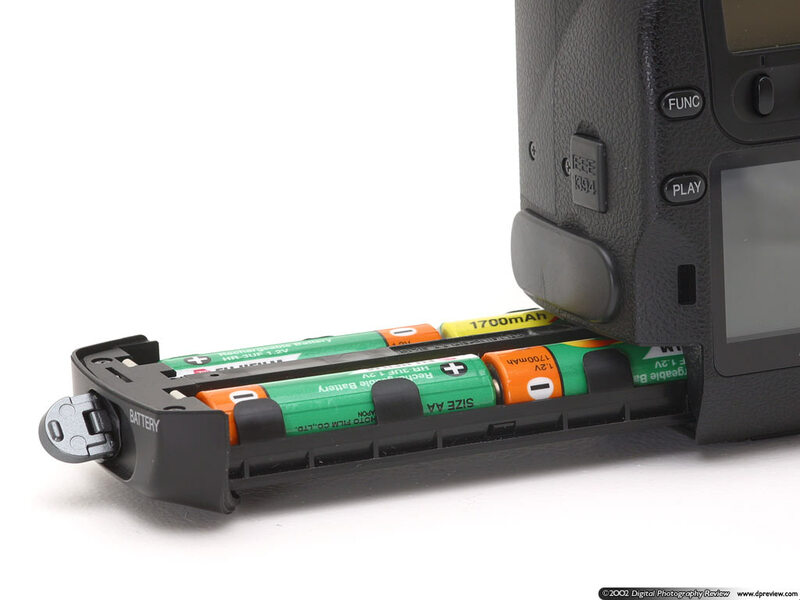 In the base of a camera is a battery tray which holds four AA batteries, these power the digital side of the camera - capture, processing, LCD display etc. We recommend high capacity AA NiMH's, they should last for several hundred frames. On the rear of the S2 Pro you will find a horizontally hinged door which is opened by pushing a small lever on the right side downwards. Inside you will find two storage slots, one for SmartMedia (up to 128 MB - useful!) 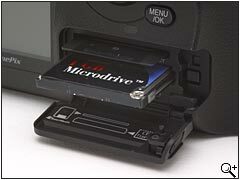 and the other for Compact Flash Type I or II (including IBM Microdrive). Note that there are no rubber seals around this door and thus rain water or dew could make its way into the storage compartment. 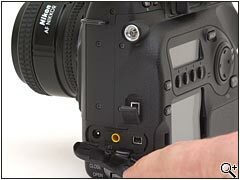 On the left side of the camera are a variety of connectors. Firstly there's a PC Sync socket, this will be a very welcome new addition for studio photographers. 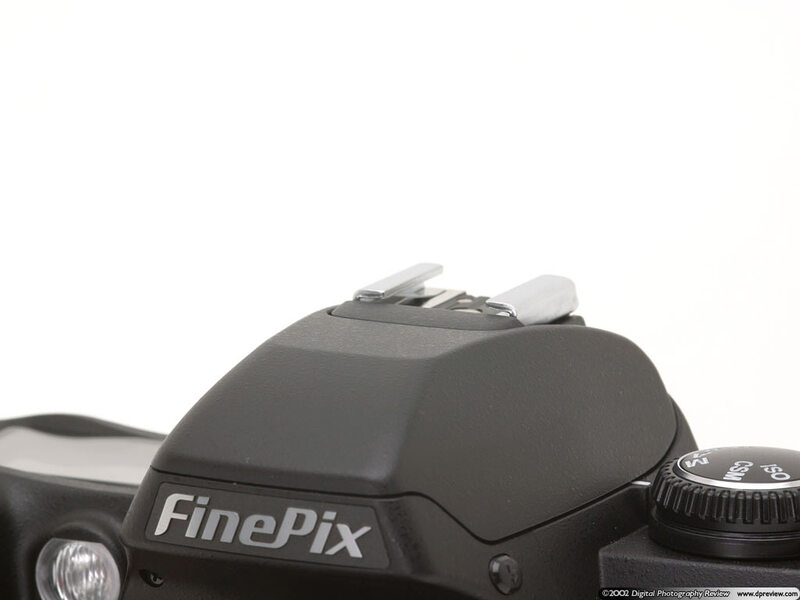 Below this is an IEEE 1394 (Firewire) connector, again another useful new addition to the S2 Pro which allows for high speed transfer of images as well as tethered remote shooting using the supplied 'camera shooting software'. Below this, grouped together, are the DC-IN, Video Out and USB connectors. 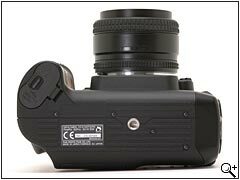 On the bottom of the camera you'll find the metal tripod socket which is aligned exactly with the center line of the lens. 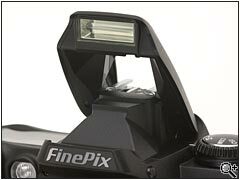 The mount also appears to be in line with the focal plane (position of the imager). As I have commented on with other Digital SLR's it would have been nice to see a rubber coating on the bottom of the camera. 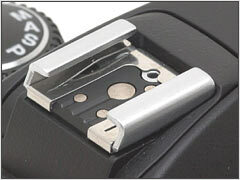 The S2 Pro's pop-up flash is released by pressing a small button on the left side just below the flash. 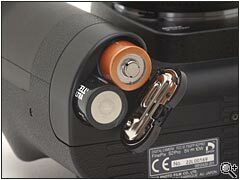 Opening the flash automatically enables it and charges the flash capacitor ready to shoot. The flash has a guide number of 12/39 (m/ft) at ISO 100. Just like the D100 the S2 Pro fires its flash only once for each shot, enabling red-eye reduction illuminates the AF assist lamp. 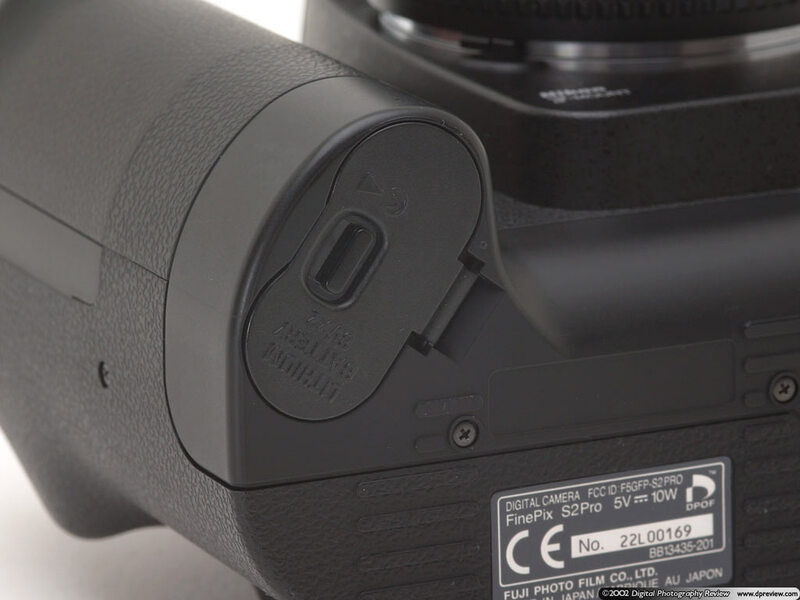 The AF assist lamp on the S2 Pro will automatically illuminate the subject if light levels are too low for the AF system to make a good focus. 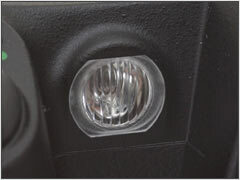 The lamp can be enabled or disabled via a custom function. 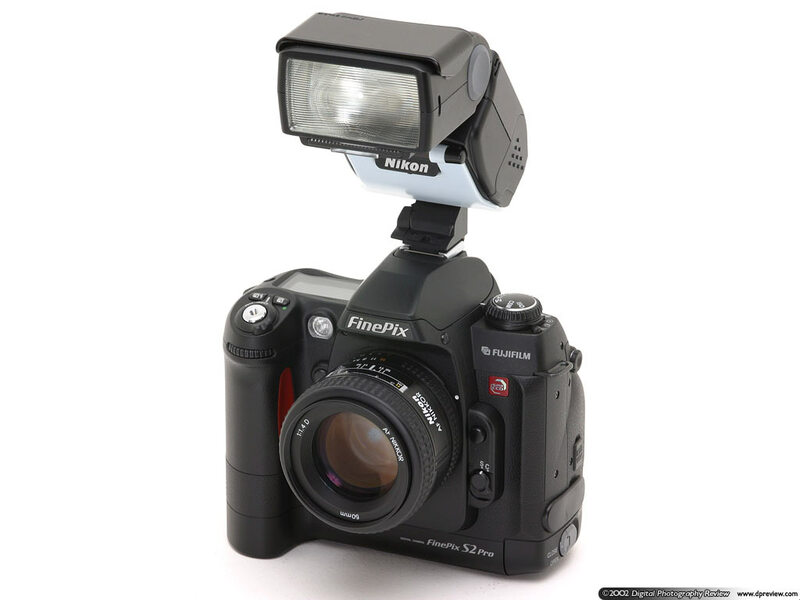 The S2 Pro has a standard Nikon hot-shoe which can accept a wide range of Nikon Speedlights including the new SB-80DX and SB-50DX (pictured below). 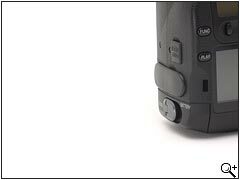 The S2 Pro has a Nikon F lens mount, it can accept almost any Nikkor F mount lens. Full camera features are only available when you use G or D type AF Nikkor CPU lenses. 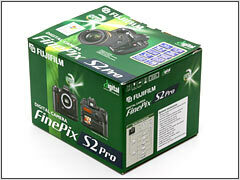 Is the Fujifilm-FinePix-S-Series-S2-Pro-6-2MP Better then Fujifilm Finepix S3 Pro? As I know the S2 offers slightly better resolution (just a small part of overall image quality) and slightly lower speed and practicality than the obsolete Nikon D100. The S2 also costs more than the D100. 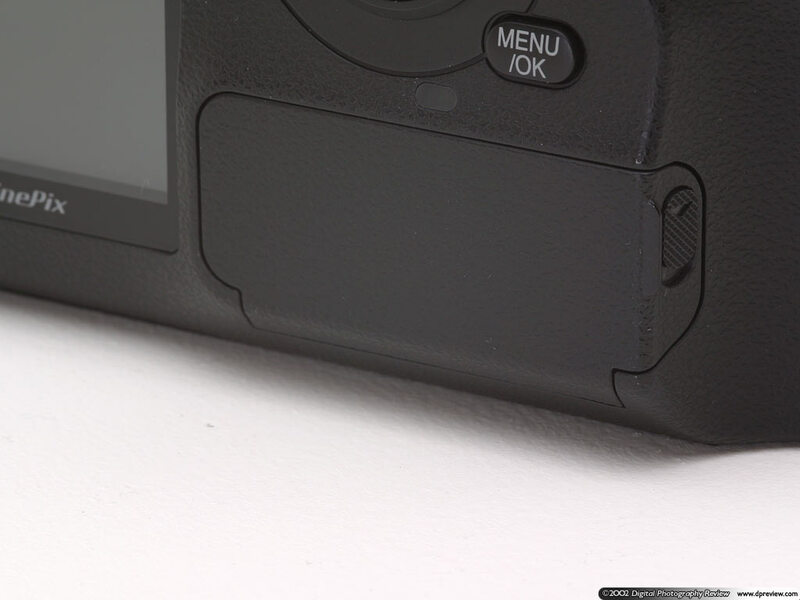 For my uses I would prefer the D70, and since it costs only half as much as the S2 and is more practical for me. The only real advantage of the S2 is very slightly higher image resolution, which to me is much less significant than all the other disadvantages. Is The S2 better than Fujifilm S5 Pro? 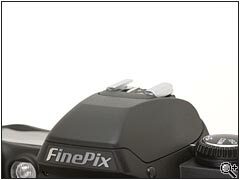 Pre-PMA 2002: Fujifilm has today announced a camera which will no doub turn quite a few heads. 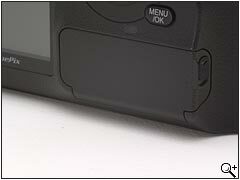 The S2 Pro has a 6.17 megapixel SuperCCD III which produces a huge 12 megapixel image (yes, twelve). 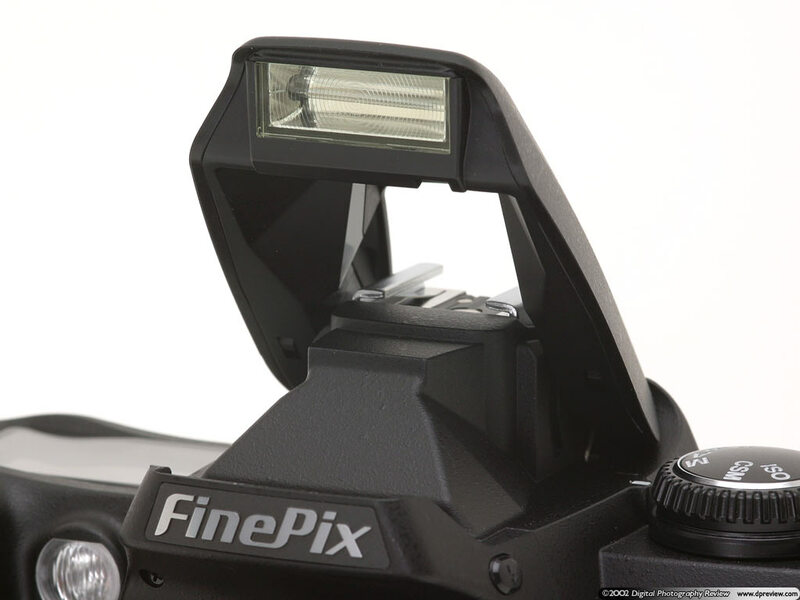 The new camera also addresses two of the major issues with the S1 Pro; it is based on the Nikon F80/N80 body which means it's more robust, this also means it can now shoot with AF-D, AF-G and AF-S Nikkor lenses. 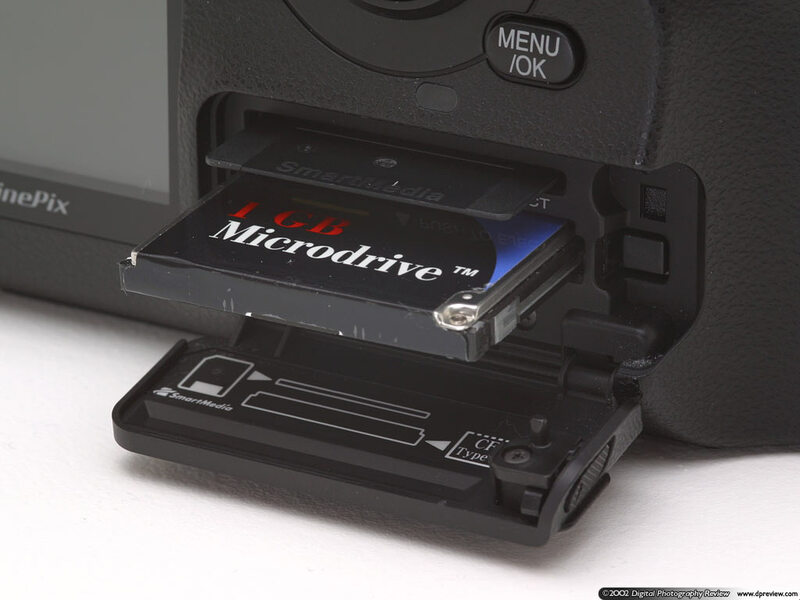 Other new features include CCD-Raw files and ISO 100 support.